Stylized skyscraper vector buildings shaped by dotted lines. Skyline design and abstract circles graphics for all city, office building, hotel complex and business center themes. 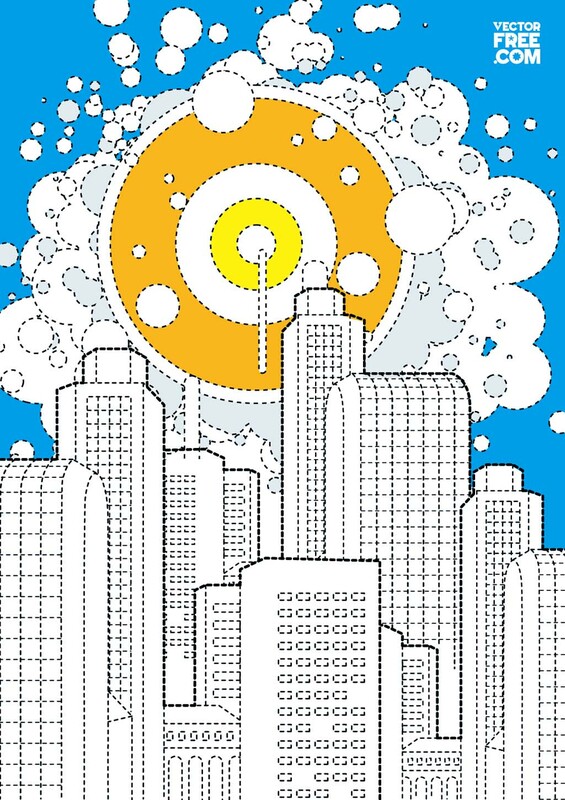 Line art design of high-rise buildings, office towers and abstract bubbles in the sky. Cool urban vector artwork for your metropolitan concepts, travel websites, architecture images and cityscape designs. Tags: Abstract, Buildings, Downtown, Line Art, Modern, Towers.